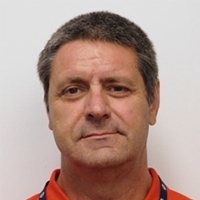 Pierre holds a Masters Degree in Chemistry and a Certified Technology Manager business degree with 30 years international experience in the nuclear industry. He worked for 20 years in various management and executive roles in the Nuclear Medicine sector, particularly in the manufacture and development of bulk and finished radiopharmaceuticals, and has extensive experience as a leader in operations, research and development, organizational and leadership development and management systems. Pierre has been with the Canadian Nuclear Safety Commission since 2007.